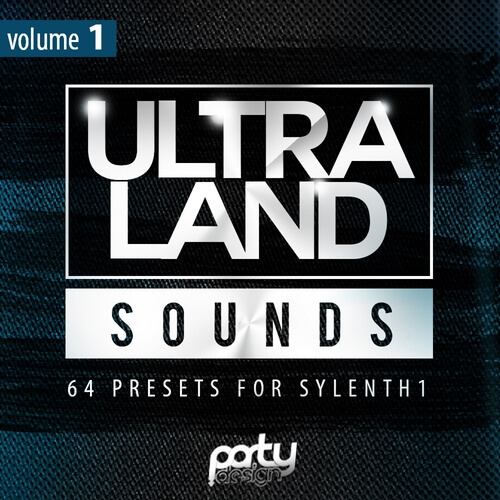 ‘Ultra Land Sounds for Sylenth1’ is a must-have soundset for Sylenth1 users who produce Progressive, House, Electro, Trance, Big Room, Dutch, and Dubstep style tracks. The soundset includes fresh, awesome sounds and amazing patches to produce your EDM banger and allow your music to stand out from the norm. If you want to create a club banger, go ahead and buy this stunning pack! Inside you’ll find sounds inspired by the world’s top artists. Each sound has been prepared with great care and with maximum precision. You’ll find 50 ready-to-use sounds, which will give your track incredible sharpness and aggressiveness. These sounds were inspired by famous artists, such as Hardwell, Audien, Armin Van Buuren, Deorro, MAKJ and more. You have to have this pack! This soundset requires Sylenth1 Version 2.2.1 .